It’s finally 8 April today, the day where you can purchase the BlackBerry Z10 from the rest of the local telcos and if you’ve been waiting for it, get it from Celcom from as low as RM1,188, DiGi from RM899 and U Mobile from RM1,268 when you sign up for a contract. 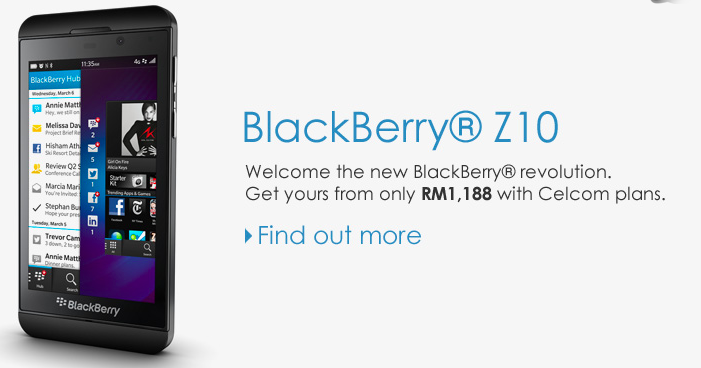 Keeping true to its teaser, DiGi is offering the BlackBerry Z10 from as low as RM899 when you sign up for its largest bundle, the DG Smart Plan 148. As for the rest of the bundle, it looks like DiGi has stuck to its usual offer of subsidizing more on the monthly commitment fee rather than the device. 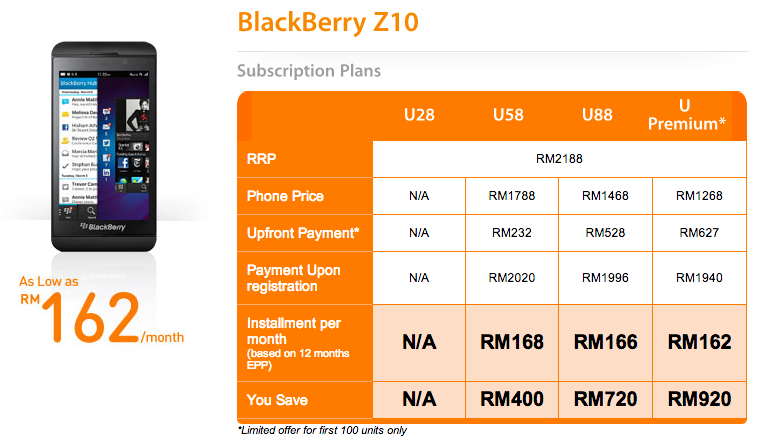 DiGi is offering the Z10 for RM1,889 for Smart Plan 58/88 subscriptions but will provide RM10 and RM20 monthly rebates for the plans respectively. Now that all 4 telcos are offering the Z10 with postpaid plans, stay tuned for a price comparison. 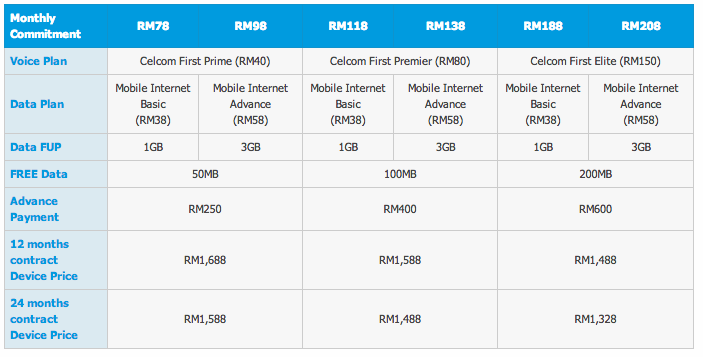 Visit Celcom, DiGi or U Mobile’s product page for more information.